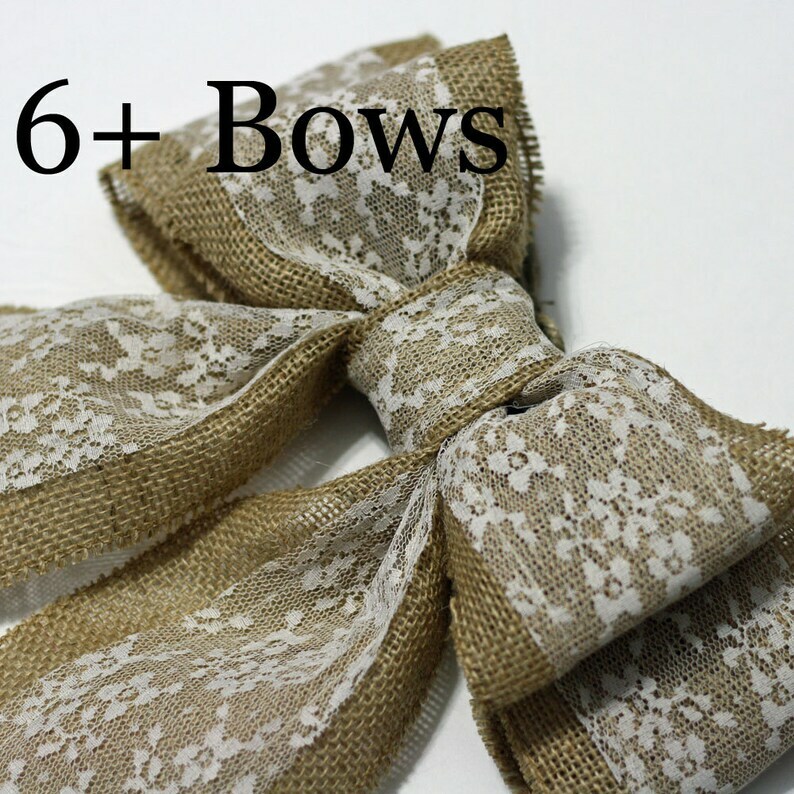 Bows are handmade from 5" ribbon with finished edges. 3" wide lace in the center. Perfect for wreaths, rustic wedding decor, or home decor. Use them for your wedding and then reuse them throughout your home. I use them throughout the year and also decorate a tree with them at Christmas. Ties on with a 36" jute string made into the back of the bow.